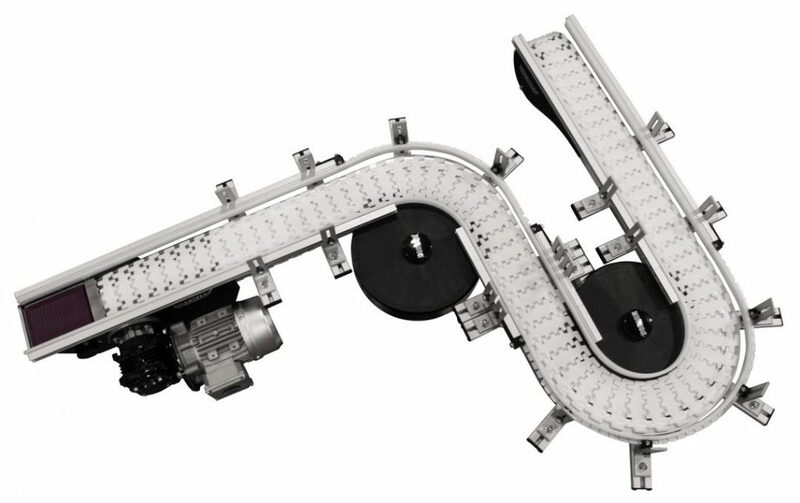 Capable of multiple curves as well as inclines and declines on a single conveyor. 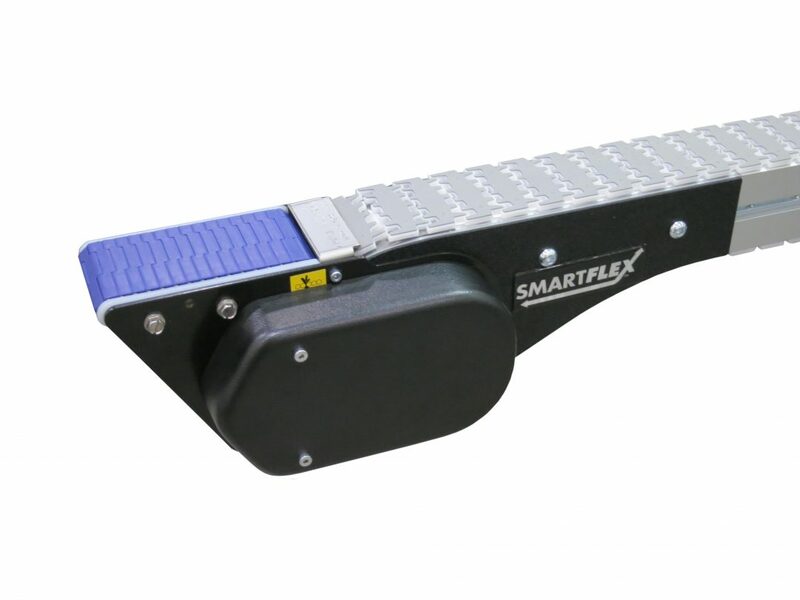 SmartFlex conveyors are available in 4 standard widths in standard flat top or friction insert chain. 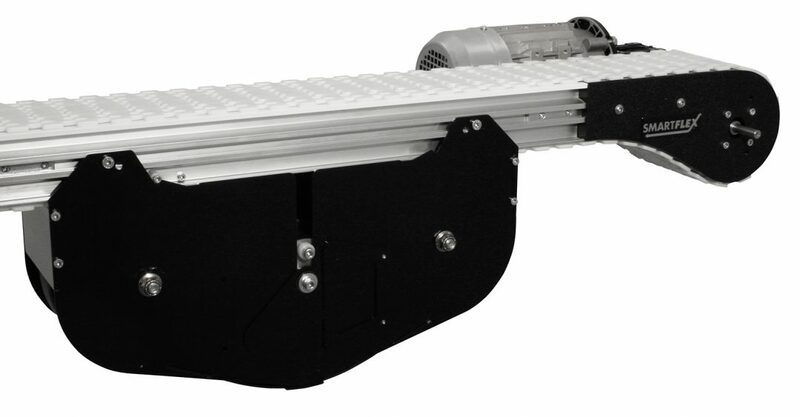 Inclines and Declines are available from 5 degrees up to 30 degrees. 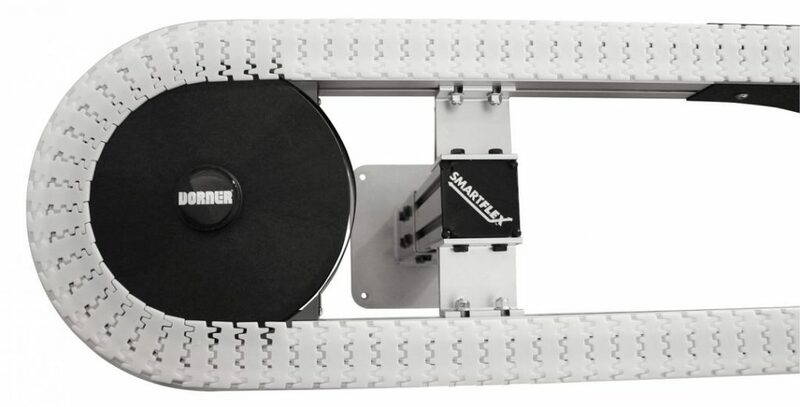 The compact weighted take up is designed to prevent catenary sag and eliminate pinch points. 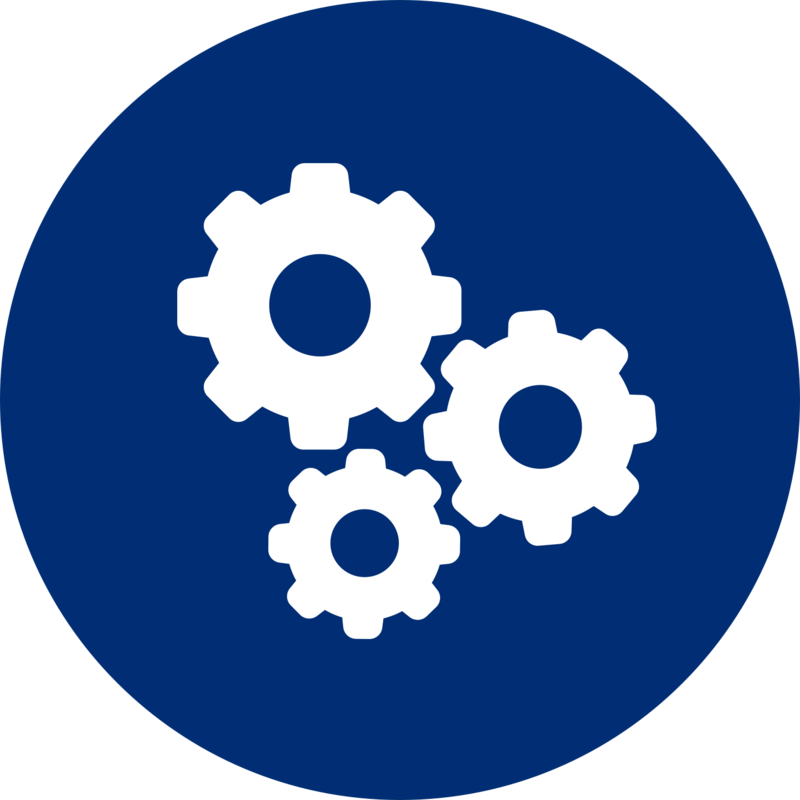 The optional powered transfer allows for smooth end transfers for products as small as 3” in diameter. 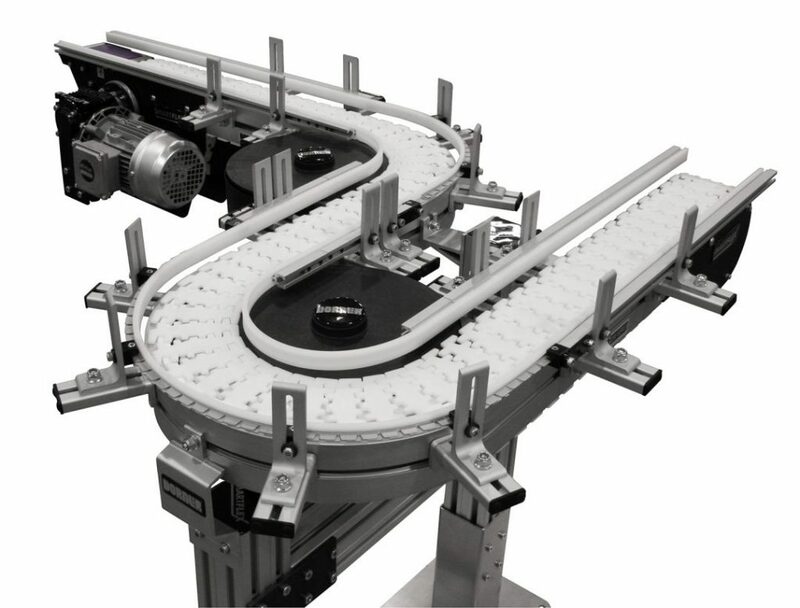 Engineered to easily integrate with other conveyors, machinery and equipment. Other sizes also available including 45 mm, 180 mm, and 260 mm. Contact factory for details.